This entry was posted in Drug Addiction, Recovery Advocacy, Treatment Programs and tagged addiction, cigarettes, recovery, relapse, smoking, treatment on April 16, 2017 by dradmins. One of the most common sites to see in a treatment facility is cigarette smoking. Clients and counselors often engage in smoking as a way to temporarily reduce stress, socialize and still feed at least one of their addictions. However, new research is showing that smoking can also be a serious hindrance to maintaining sobriety. Researchers at Columbia University’s School of Public Health investigated data gathered from 35,000 adults, specifically looking at rate of relapse after treatment. They found that people who smoke before treatment and continue doing so afterward are nearly twice as likely to relapse as non-smokers. This information is especially interesting because of the current take on smoking in most treatment centers. Since coming off of drugs can be so stressful and patients are often having to work through painful past experiences, smoking is accepted because it is a “lesser” addiction. However, according to this research it can be detrimental. “If research continues to show a relationship between smoking and relapse to substance use among those in recovery, making tobacco treatment a standard part of treatment for illicit substance use disorders may be a critical service to provide to adults toward improving substance treatment outcomes over the long term,” commented Renee Goodwin, author of the study. Perhaps some of the indicators of having a compulsive behavior tied to a chemical leaves a pathway open in the brain that makes people more susceptible to relapse. Whereas research into neuroplasticity has shown that the brain can be “re-trained” to create new pathways and behaviors, maintaining an active addiction to nicotine may prevent that re-writing process from occurring. A new report from the National Center on Addiction and Substance Abuse at Columbia University found that more than two-thirds of insurance policies violate the Affordable Healthcare Act (ACA) regulations concerning coverage for addiction treatment services. 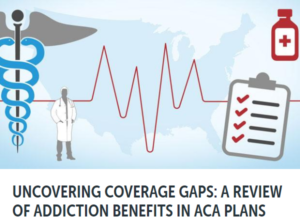 The report is titled Uncovering Coverage Gaps: A Review of Addiction Benefits in ACA Plans. Although the passage of parity for behavioral health coverage and the ACA have helped many more people gain access to substance abuse treatment programs, there is still a major problem with coverage. The report also found that 18 percent of the plans aren’t sufficient in complying with parity requirements, and none of them provide comprehensive coverage for all of the services that are deemed critical without prohibitive limits on benefits. One of the problems we have seen on the ground level is not enough days approved for treatment. Patients and facilities are often having to submit for reauthorization of inpatient treatment after only a few days, for example, when if they were really interested in helping people get the most effective care then they would approve more days to start with. “While insurance can definitely be a life-saver and more people are able to gain access to treatment now because of it, there is a fundamental flaw in the insurance system,” comments Lucas Catton, CEO of Advanced Recovery Resources, “The end goal for most of the companies is to make money for their shareholders, so by default they have to try and reduce their payouts in any way possible.” Catton acknowledges that any company has to take in more than it spends, but perhaps there is still a need for more non-profit insurance companies if they can navigate the pitfalls. 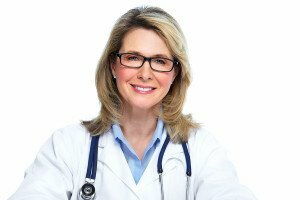 There have been some major shifts in the addiction treatment field in the past decade where insurance coverage is concerned. Application of better regulatory practices could help to standardize things, keep predatory facilities from unethical billing practices, and help people have more complete coverage for the rehabilitation services they need and deserve. There is a growing body of research showing the benefits of incorporating mindfulness practices into many parts of our daily lives. 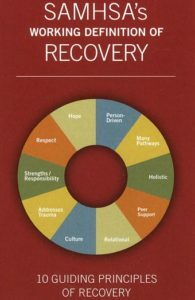 Recovery is no exception, as it has been shown to be particularly helpful in preventing relapse and improving overall mental stability. Sometimes there are some misconceptions of what mindfulness really is, as people may think it is only a part of an Eastern religion. While it definitely has roots dating back 2,500 years or so in that foundation, it is not limited to any particular set of beliefs at all. 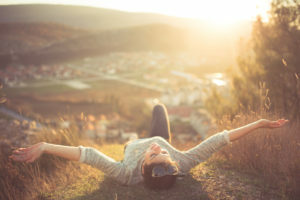 Practicing being aware of things in the moment can be extremely helpful in addiction recovery in many ways, whether those situations are initially positive or if they are threatening in some way. For example, if a person is experiencing a drug or alcohol craving, through a deeper awareness they are able to see themselves through it as it passes rather than falling prey to the transient reactive impulses. They are able to withstand the craving with more ease each time as they become less affected by the sensations that arise during such episodes. Treatment programs that incorporate some form of mindfulness practice will become more sought after. It is also helpful in building longer-lasting stability by being more in tune with one’s thoughts and feelings and paying more attention to daily tasks, especially those that bring warmth or pleasure. These may include time with family, playing a sport, creating something artistically or simply enjoying yourself on a vacation. These positive experiences can have a greater impact the more aware of them we are, and help us to focus more on the good things in life rather than the bad things. One mistake many people think is that if they do it a few times then that is sufficient, but mindfulness is a practice that should always continue, and the longer that it is, the more effective it will be with regards to recovery as well as general happiness. This continued practice helps bring us more out of the realm of past upsets or future anxieties and helps us to maintain more balance in the continuously present moments of each day. September marked the 26th annual observance of National Recovery Month. Events were held all over the country in support of addiction treatment and recovery, including concerts, walks, runs, rallies, expos, conferences and more. Rather than those events ending in September, a new group called Facing Addiction held a huge rally in Washington, D.C. on Sunday, October 4th. With major support from a number of notable political leaders, healthcare professionals and artists, thousands of people braved the weather in support of a united voice against addiction. According to their website, Facing Addiction has the vision to bring together the best resources in the field in order to reduce the human and social costs of addiction, every year, until this public health crisis is eliminated. Sometimes the addiction recovery advocacy field can be a bit fragmented, as each organization may have its own slightly different agenda. A new non-profit such as this that seeks to unify and distill these messages should be welcomed with open arms. It is apparent that the way things have been approached on a large scale haven’t been very effective. Substance abuse rates are astronomically high, and tens of thousands of lives are lost each year unnecessarily as a result. Although there are many highlights and pockets of success, those must be identified and multiplied so that real chance can occur. Perhaps a major overhaul is due.